Irish consumers have enthusiastically embraced online shopping and are increasingly aware that, far from reducing your consumer rights, buying items online actually increases the rights that are available to you. But though we may be proficient at clicking the ‘confirm order’ button, how knowledgeable are we when our shopping experience doesn’t pan out as expected? And there are still those of us who prefer face-to-face sales where delivery of the item may be necessary or more convenient. But what rights can we rely on in this instance when either the delivery service or the goods supplied are not to our satisfaction? With online shopping, and indeed when you buy larger items in store, the items must be delivered to you in some way. Not every delivery goes smoothly, however. So what happens if the item never arrives or it does arrive but very much later than agreed or has been damaged in transit? Where does the responsibility lie? And once you have taken possession of the delivered item, what happens if you need to return it for some reason? Who pays the delivery costs in this instance? And what are you entitled to in terms of a refund? Below we outline your consumer rights in different delivery and returns scenarios so that you know what you can reasonably expect from a retailer and when to pursue the issue if your rights and entitlements are not being respected. Thanks to EU regulations contained in the Consumer Rights Directive, shopping online gives you additional rights compared with buying goods in a traditional physical shop. Buying from an online trader that is based in the EU gives you a raft of consumer rights that will not apply if you buy from a trader that is located outside of the EU. For this reason, it is very important that you ascertain where exactly the online trader is based. EU law states that websites must provide a geographic address but if you cannot find one or are not convinced that the address given is genuine, then it is undoubtedly safest to take your business elsewhere and buy from an alternative – and verifiably EU-based – site. The consumer rights below apply only when you are dealing with an EU-based online trader and not if you are engaging with an online seller outside of the EU. You bought a good online from a trader based within the EU and arranged delivery without specifying a particular date. Under the Consumer Rights Directive, the product in this instance should be delivered within 30 days of you making the purchase. If the item does not arrive within this 30-day period, then you can contact the trader and ask that it be delivered at another date that is convenient for you. If the item does not arrive within this new agreed time period, then you are entitled to cancel the contract and be refunded the full costs, including any delivery charges, by the retailer without delay and within 14 days. You can also cancel the contract if the item didn’t arrive within the initial 30-day period and delivery within this timeframe was essential, taking into account all circumstances of the case – for example, you ordered a wedding dress and it did not arrive in time for the wedding. You bought a good online and told the trader that you required it for a specific purpose and that it needed to be delivered by a particular date. If before you made the purchase, you informed the trader that it was essential that the item was delivered by a specific date – for example, that it was a Christmas present and needed to be delivered by Christmas day – and the trader agreed to this date, then you are entitled to rely on this agreement as part of your contract with the trader. Thus, if the item is not delivered within the initial 30-day period or by the agreed date, then you can cancel the contract and request a full refund without having to arrange an additional delivery time. You can also cancel the contract if the trader informs you clearly that they are unable or unwilling to deliver the item within the specified timeframe. Your online purchase does not arrive because it has been lost in transit or it arrives but it is clearly damaged. It may happen that an item is not delivered because it has gone missing. It may also happen that the item does make it to your door but it is clear on receipt of the package that it has suffered damage, whether due to poor packaging or mistreatment on the journey. The key in these scenarios is to work out where the responsibility for the lost or damaged item lies. The EU legislation that governs these circumstances is contained in Article 20 of Directive 2011/83/EU, which deals with consumer rights and the passing of risk. Essentially, the trader is responsible for the item until it is handed to the consumer. Thus, if the trader organises a particular courier service to handle delivery, then the trader remains responsible for the goods while the courier is in possession of them. In such cases, the trader will need to replace the item or refund the payment if the goods go missing or are damaged. The situation is different if the consumer has either organised their own courier or delivery service or has nominated somebody else to receive the goods, such as a neighbour or a proxy address service like An Post’s AddressPal. In these cases, the trader’s responsibility ends as soon as the goods are passed over to this third party. The trader would then need to provide proof that the item was delivered to the third-party or consumer or that it was delivered without damage. If the trader cannot provide this proof, the consumer may request that the contract is cancelled and a refund is provided. If it is proven that the loss or damage occurred while the item was in possession of the third party, then this comes under a separate contract and the consumer will need to take the issue up with the third-party trader. You have legitimately cancelled the contract for one of the reasons above but the trader has not refunded you the money. If you have cancelled your contract with the trader due to one of the reasons above, then you are entitled to be refunded all costs, including the initial delivery charge, without delay and within 14 days. If the refund is not paid and you used a credit card to pay for the item, then your credit card provider may agree to reverse the transaction in a process known as a chargeback. To avail of this, you will need to contact your bank or card provider immediately and provide all relevant details of the transaction in dispute. Your online purchase has arrived but it is not to your liking and you don’t want it. If your online purchase is delivered and you find that it doesn’t fit or is not exactly what you wanted or you have simply changed your mind, then the EU Consumer Rights Directive provides a 14-day cooling off period starting from the date you received the item. This means that within this timeframe, you can decide to return the item for any reason and receive a refund of the cost of the item. Depending on the trader’s policy, you may have to pay for the cost of returning the goods. If so, then the trader should have made this information available to you before you bought the item. Once the 14-day cooling-off period ends, then your right to withdraw from the contract expires – unless, of course, a fault appears with the product, in which case you have a right to a remedy under the law. In addition, the cooling-off period does not apply to a number of product types, including customised items that have been adjusted or personalised to your specifications (such as a football jersey with your name on it), perishable goods (like fresh food), and DVDs, CDs, and computer games or software that have been unsealed by the consumer. Your online purchase has arrived but it turns out to be faulty. When you buy online you retain all the rights you would have if you had bought the item in a physical shop. This means that the goods must be as described by the seller, fit for the purpose for which they were bought, and of an acceptable quality as is reasonable to expect. If they are not, then the consumer is entitled to a remedy. So, for example, if you accept delivery of a product bought online and it subsequently becomes clear that the product is deficient or faulty in some way, then the online trader must provide a replacement, repair or refund. If the fault becomes apparent within six months of purchase, under EU law that fault is deemed to have been present at time of delivery. You will need to contact the trader immediately, preferably in writing via email or letter, to outline the problem. You may have to pay for the cost of returning the item to the trader, but if it is proven that there is a fault and that this fault was not caused by you, then the trader should reimburse this return shipping cost. In the case of a refund for faulty goods, the trader should reimburse you the cost of the item plus the initial delivery charge within 14 days of the cancellation but they are entitled to wait until the goods have been returned or until they receive proof of return postage. The trader remains liable for any faults that appear with a product up to two years after purchase. However, if the fault develops after the initial six-month period, the consumer may have to prove that the fault was not caused by their own misuse or mistreatment of the product. When you buy goods in-store, many of the rights and entitlements above that attach to online purchases will not apply. Generally speaking, when you make a purchase in a physical shop that involves the item being delivered, the terms and conditions will be agreed at the point to sale. You will be asked to pay in full upfront or to provide a deposit and a delivery date or timeframe will be agreed. This may be a date of your choosing or one determined by the retailer’s delivery schedule and delivery may be included in the overall cost or charged as an additional fee. These details all form part of the contract between you and the retailer and come directly under the Sale of Goods and Supply of Services Act 1980. If the retailer states that the delivery will take place in, say, three to five or five to seven working days, it is worth clarifying what the retailer means by a working week and if weekends are included. You bought a good in-store and the delivery date was agreed but the delivery did not take place. In the event that a delivery date or timeframe was agreed and delivery does not take place as planned, the terms of the contract are challenged and potentially are being broken. The service element of the contract is failing. 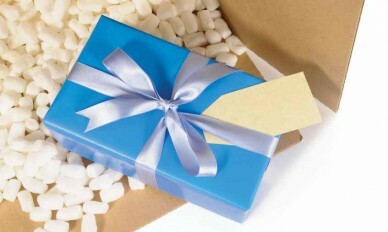 The consumer should contact the retailer and request a new and guaranteed time for delivery. Unfortunately, there are no firm guidelines or regulations that govern this area and so, although you may have taken time off work to wait for a delivery that never materialised, there is no automatic entitlement to compensation or a reduction in price, despite the consumer potentially being out of pocket due to a lost day’s work. This area is entirely down to negotiation with the retailer with the contracted agreement as the basis for your argument and each consumer must exercise their consideration of what is fair to request. Often, the consumer just wants to take possession of the goods that they have ordered and there may be a valid reason for the initial non-delivery and a new date can be agreed to the relative satisfaction of all parties. A further instance of non-delivery would determine that the contract as agreed is void, making cancellation the choice of the consumer unless new terms can be agreed, with consideration of any and all loss or inconvenience that remedy the breach, to the consumer’s satisfaction. Otherwise a full and immediate refund would complete the cancellation. You bought a good in-store but when it is delivered you realise you have changed your mind and it is not what you wanted. As the sale in this instance took place in-store and was not a distance sale similar to an online purchase, there is no cooling-off period and no entitlement to withdraw from the contract due to a change of mind. Whether the retailer will accommodate you in taking back the item and refunding you the cost is entirely down to the company’s returns policy. You bought a good in-store and after it is delivered it becomes clear over time that it is faulty. In this instance, as with online sales, your consumer rights under the Sale of Goods and Supply of Services Act 1980 apply and you are entitled to a repair, replacement or refund from the retailer if the item is not as described, not fit for purpose or not of sufficiently acceptable quality. You bought a good in-store or online but the trader goes out of business before the item is delivered. Unfortunately, if you have bought goods or paid a deposit on them and the trader subsequently goes out of business before delivery has been made, you may find it very difficult to get either the item you paid for or a refund. Usually, a company that goes into liquidation or receivership will owe money to a number of parties – including secured creditors, Revenue, banks and employees – which, under law, are given different priorities in terms of getting refunded their money. You, as an individual consumer, will be deemed to be an ‘unsecured creditor’ and will be low in the order of priority, making it unlikely that you will be able to secure a refund. If you have paid for the item in full, you can contact the liquidator and see if you can get possession of the item. Alternatively, if you have paid by credit card, you can contact your card provider to see if it will reverse the transaction using the chargeback process. Chargebacks may not always be successful or applicable to the situation and in instances where the retailer does not respond satisfactorily or refuses to honour the consumer’s legitimate entitlements, then the consumer may need to look to the Small Claims Procedure to achieve a remedy, with information provided on courts.ie. For online cross-border transactions within the EU, ECC Ireland may be able to provide advice or assistance in resolving the issue and may be contacted at https://www.eccireland.ie/contact-us/. When dealing with a non-EU-based online trader, you need to make sure before purchase that the website is reputable and that you have read all terms and conditions very carefully. If the goods are not delivered or are faulty or not as described on arrival, you will need to refer to the terms and conditions to find the website’s policy on these issues. Moreover, when making a purchase from outside of the EU, you may be liable to pay Value Added Tax and customs duty, which will be collected on your doorstep by the company that delivers your parcel.